Recommended for painful, stiff and inflamed joints and muscles. 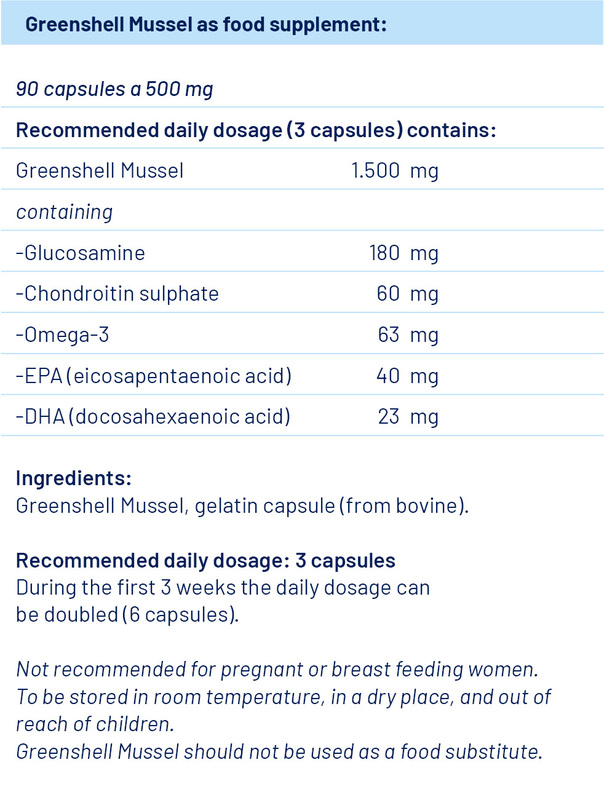 Greenshell Mussel provides a rich source of all major classes of Glycosaminoglycans (GAGs), which are principle components of cartilage and the synovial fluid found in the joint. These GAGs provide flexibility, elasticity and tensile strength to the articular cartilage. The severity of arthritis is directly related to the loss of GAGs content in the joint and surrounding cartilage.